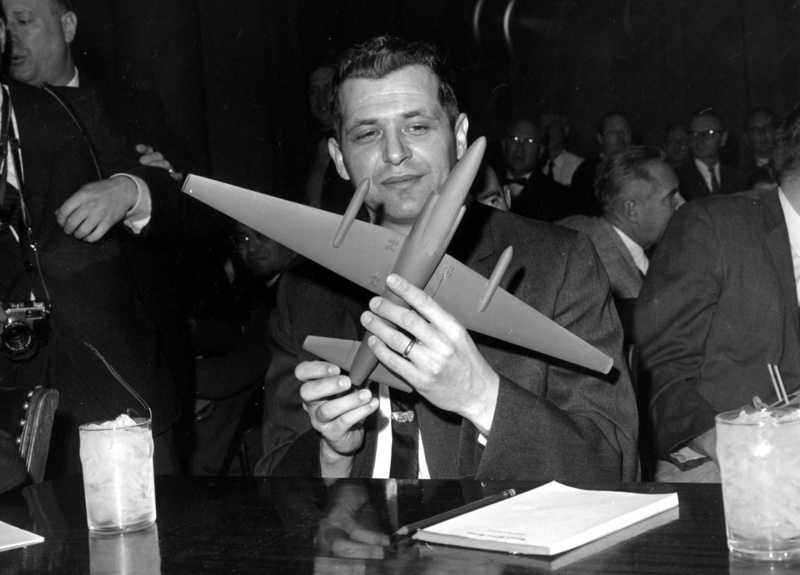 I think I remember something about Francis Gary Powers at the time, but I don’t know when I first heard of him. Not on May 1, 1960 when I was probably outside playing after Sunday dinner and trying not to think about Monday and sitting in Miss Liston’s 4th grade class. Did I have homework that weekend? Had I done it? Francis Gary Powers had taken off from Afghanistan that day in his U2 jet intending to fly over the Soviet Union, take pictures of likely nuclear missile installations, and land in Norway. 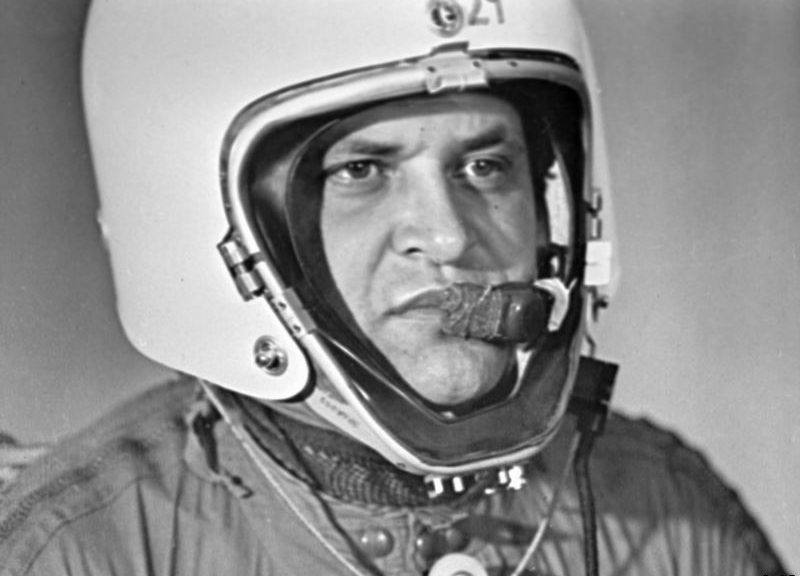 Flying at 70,000 feet, military experts said he was beyond the reach of Soviet missiles. In 1955, President Dwight Eisenhower had proposed an “open skies” plan, in which each country would be permitted to make overflights of the other to conduct mutual aerial inspections of nuclear facilities and launchpads. Soviet leader Nikita Khrushchev refused the proposal. The US’s U2 spy plane program was a secret program aimed at bypassing that refusal. Flying over a country without permission could be considered an act of war. The program began in 1956. The Soviets did track some flights, but could not prove that the US was conducting them. The Soviets remained silent because announcing their knowledge of the flights would also reveal their inability to shoot them down. The flight had been normal until explosions suddenly broke off a U2 wing and shut down its controls. To use the automatic bailout system with the plane in freefall would have severed his legs. He tried to bail out manually and was nearly sucked out of the plane when he removed its canopy. He also realized that he couldn’t reach the plane’s self-destruct button. When the US government found out about the situation, it assumed that the plane was destroyed and Powers killed. The government released a story that it was not a spy but a weather plane that had gone off course. A “NASA” painted model was used for exhibit. Eisenhower confirmed the story. Until the Soviets released pictures of the plane, mostly intact, and Powers, alive. A planned summit between Eisenhower and Khrushchev went south. The Soviets tried Powers on August 17 and found him guilty of espionage two days later. The court sentenced Power to 10 years in prison. Three months later, the US elected John F Kennedy president and Powers became his problem. 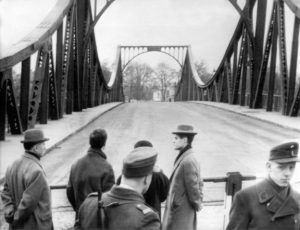 On February 10, 1962 James B Donovan completed his successful negotiation for the exchange of Powers, along with American student Frederic Pryor, for Rudolf Abel. Ironically, Donovan had defended Abel five years earlier in American courts and though losing the case, was able to defeat the government’s request for the death penalty. The exchange took place on the famous Glienicke bridge in Berlin – the “bridge” referred to in the title of the 2015 film Bridge of Spies. Back from the USSR, Powers underwent the questioning scrutiny of the American media. Why had he co-operated with the Soviets? Why hadn’t he committed suicide? A Senate committee hearing in 1962 gave Powers a chance explain.The committee fully exonerated him and awarded $50,000 in back pay to cover the period of his incarceration in Russia. He took a job as a pilot for a television news station and died in a helicopter crash on August 1, 1977. 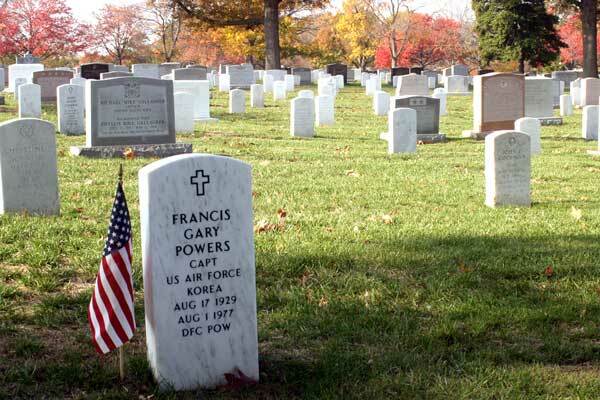 He is buried in the Arlington National Cemetery where his tombstone includes two honors, both awarded posthumously: the Distinguished Flying Cross, and the Prisoner of War medal.